So the other day I was thinking about my professional life. I do iOS development, which has treated me well but in the end, isn’t what I was the most passionate about. Puppetry? Well, that’s a little bit closer, but not quite either. I’ve decided to quit my job and pursue my true passion. And that passion is Koala’s March. 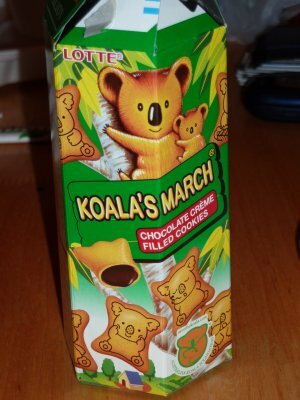 Ever since I was a kid, I love these koala cookies. 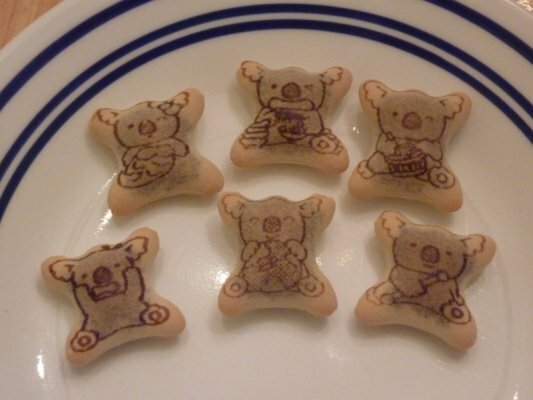 These are bite size snacks with chocolate filling that has drawings of koalas on them. The old ones have the koala playing a drum, kicking a soccer ball, etc. But since then, they have expanded the varieties quite a lot. 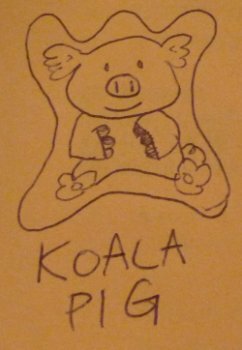 Now I want to take it more seriously and pursue koala cookie design. I mean, think of all the possibilities! The koala-shaped cookie is a blank canvas. On it you can draw all these different characters! You can have a koala-pig hybrid. You can have someone you met in high school. You can also have video game characters! 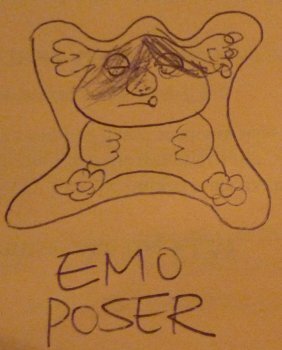 See my wonderful drawings? I used to lack confidence, but now that I got an ego, everything just looks so much better! My friend Dave once said, “Most people move on from childhood and leave it behind. I feel like Kelvin managed to take his grammar school years with him and has continued to develop them throughout his adulthood.” Well, he’s damn right! Now that I am full of myself (just like a child), I can go pursue my childhood dream! Wish me luck! Here’s more of my koala drawings on my Flickr album. I was wondering why you remained in iOS development. I knew there was something else about your amazing skills and hidden desires to pursue happiness. Just forget about iOS development and puppets and fully concentrate in koala cookie design; I can see by your drawings you have a bright future there! My only complain is…why Rick Astley…why…ahhhhhh! 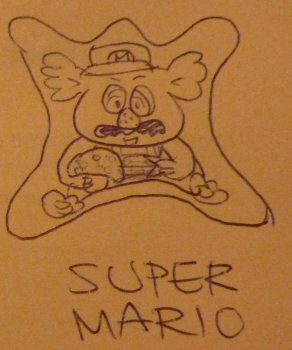 I like Super Mario best. Also, Rick Astly is my favourite ginger. Katrina’s last blog post..Yep… That Definitely says “Pregnant”. Yes, please never give him up, let him down, run around or hurt him.